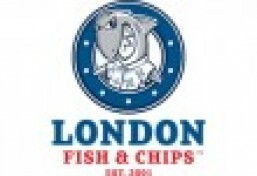 London Fish & Chips is currently closed for delivery and it will open at . Grill Fish Fillet Patty with Chipotle, Lime & Fresh Herbs. Delicious cajun cod fillets 4 pcs, served with chips and soft drink. Grilled fish seasoned with cajun herbs 9 Pcs served with chips and soft drink. 2 chicken fillets in our crispy batter, served with chips. Juicy fish bites 4pcs, served with chips, drink and toy for free. Tender chicken bites 4 pcs, served with chips, drink, toy for free. Delicious shrimp pop 8 pcs. Served with chips, drink and toy for free. Sharky`s favourite burger, served with chips, drink and toy for free.